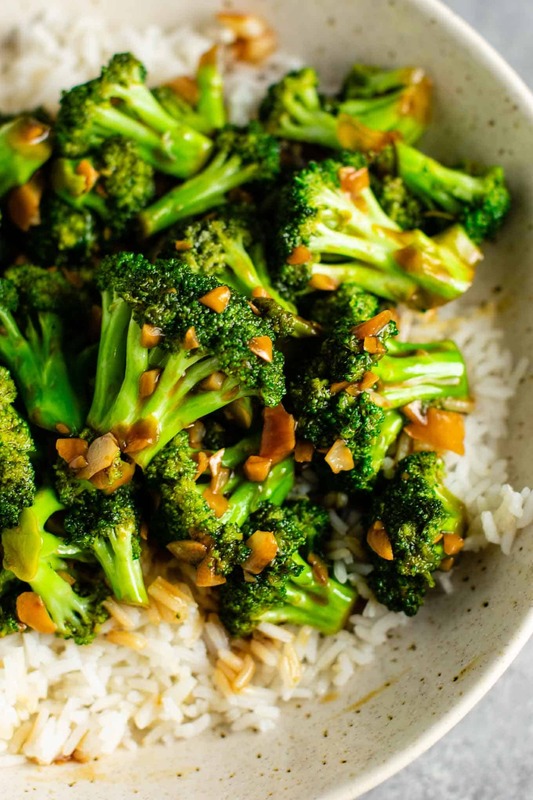 Broccoli with garlic sauce – the holy grail of ordering for me when it comes to Chinese restaurants. We have a local sit down Chinese place that my favorite thing to order is just a big old plate of broccoli stir fry. Every time I go there, I always order the same thing. Garlic sauce is my very favorite thing about takeout, and I decided to recreate that same amazing lick-the-plate-clean taste in my own kitchen! My dad used to order Chinese every single Sunday when I was growing up, and we always got some form of garlic sauce in our meal. Everyone loved it, and my favorite was the tofu and broccoli with garlic sauce. 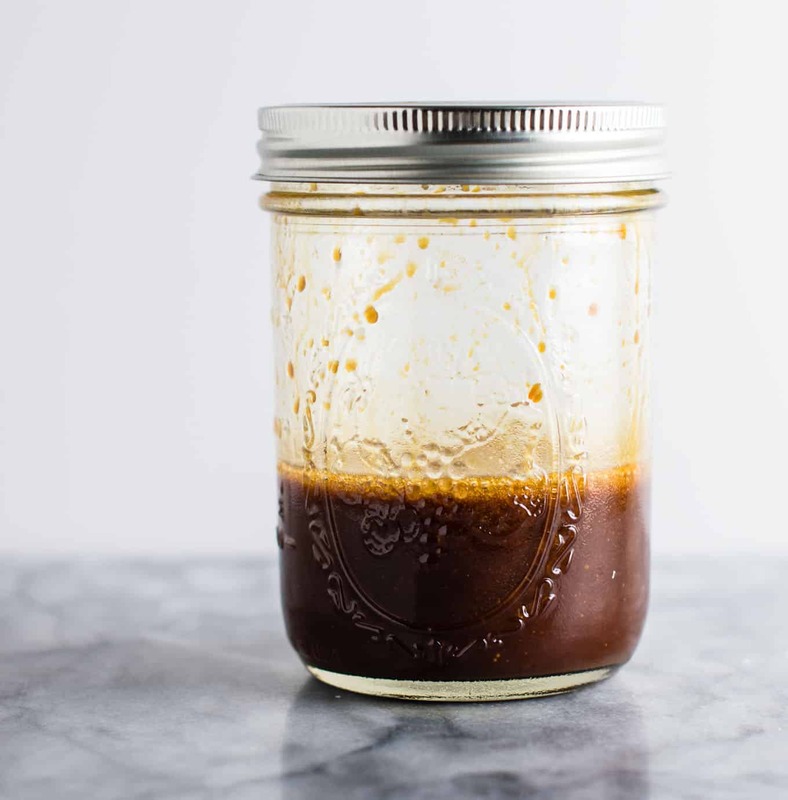 If you have ever tried my stir fry sauce recipe, you know that it has changed my life! It is only 3 ingredients, and transforms blah stir fry into holy wow this is amazing stir fry! 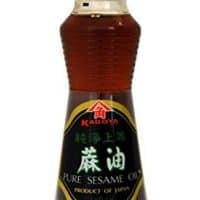 I write all about how it’s the perfect sauce in my post about How do You Thicken Stir Fry Sauce? I’m using that same incredible stir fry sauce to make this chinese broccoli not only crazy good, but crazy easy to make! That’s it! So simple and it took me less than a half hour to make! My kitchen smelled heavenly. I’m already so excited to make this recipe again! I can see this easily becoming our own Sunday tradition in my little family! This recipe is very similar to my broccoli tofu stir fry recipe, but minus the tofu. I wanted to create a stand alone recipe for anyone who loves broccoli in garlic sauce as a side dish or a main dish! To make it a full meal, you could add your favorite protein of choice! 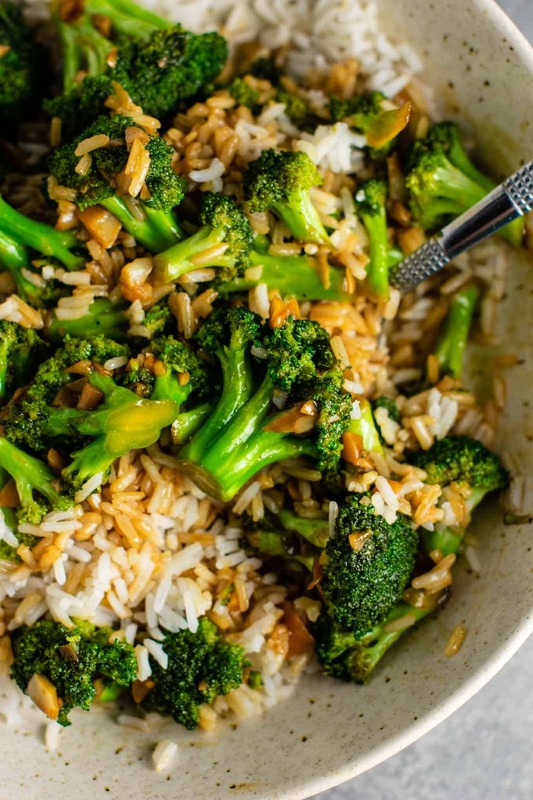 Broccoli is a great vegetable to use in stir fry, and it’s one of my favorites. You can read my post on What are the best vegetables to put in stir fry? for more recipe inspiration! First, mince up your garlic with a knife or garlic mincer and measure out 1/3 of a cup. You need lots of garlic because we are making garlic sauce, so it is the star! I used probably around 2 heads of garlic. I recommend buying the pre packaged bags where the garlic is already peeled. These save SO much time, and I always buy my garlic this way now. Note: I am talking about the already peeled garlic that comes in bags, not the pre minced jar stuff. We definitely want fresh for this recipe! While you are getting everything chopped up, get your rice cooking. I HIGHLY recommend investing in a rice cooker, because the flavor and texture is just unparalleled. I use my rice cooker so much and it’s one of my very favorite kitchen appliances. I never cook rice on the stove anymore. My rice cooker makes that perfect sticky rice that isn’t too dry or too wet and I just love how easy it is! Next, chop up your broccoli into florets. You can use between 8 and 9 cups for this recipe. Next, shake together a batch of 3 ingredient stir fry sauce and set aside. Grab a big skillet or jumbo cooker and add 2 tablespoons of sesame oil and heat to medium. Add the garlic and cook for 3 – 5 minutes, stirring often, until it begins to brown. Be careful not to burn the garlic. 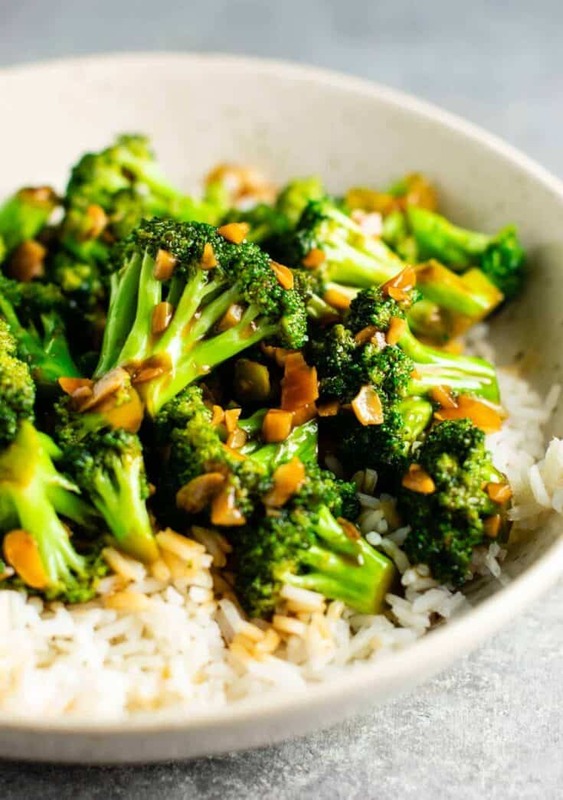 Add the broccoli and stir fry sauce and cook an additional 10 – 15 minutes, stirring often, until broccoli is desired texture. This recipes uses my favorite stir fry sauce! Just 3 ingredients and so simple to make. 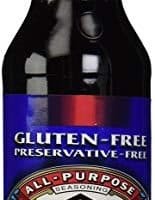 I use it in every stir fry recipe I cook. I personally like my broccoli with a little crunch, so right around 10 minutes was the perfect cook time for me. When cooking your broccoli, stir often to ensure it is cooking evenly. Since broccoli florets are large, they need to be stirred often so all sides cook well. Next tip: make sure that you do not cook the broccoli too long! No one likes mushy broccoli. Texture is important here. I’ve found the best broccoli I have eaten still has some crunch to it. It just tastes so much fresher this way! 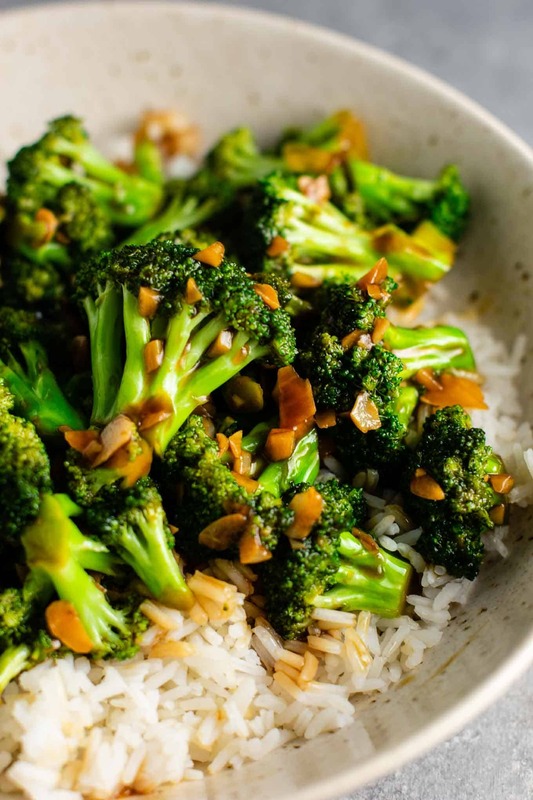 I have had totally soft broccoli from takeout before and just couldn’t eat it. The texture is so important! 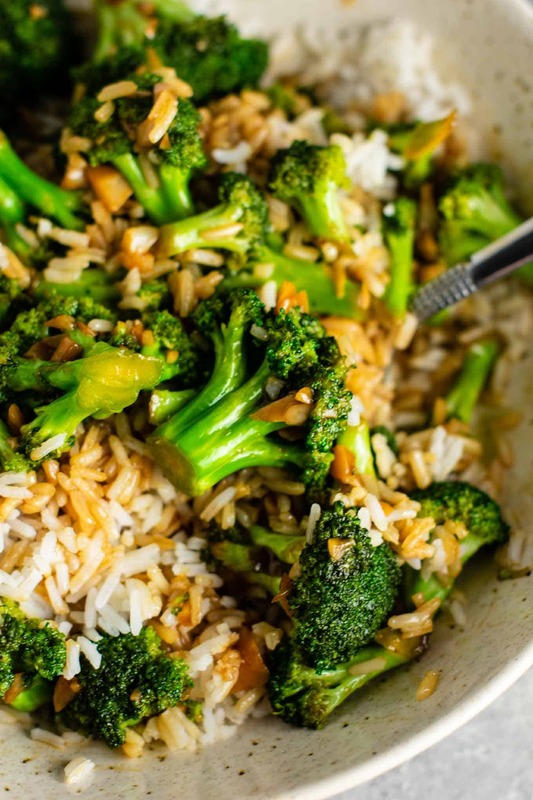 Once your broccoli with garlic sauce is done, serve it over white rice (or brown rice!) for the ultimate combo. Be sure to tag me on instagram @buildyourbite and hashtag #buildyourbite with your recipe creations! Hungry for more? Try these delicious stir fry recipes! Easy and delicious chinese broccoli with garlic sauce - this tastes just like your favorite takeout! This recipe and amount of sauce is intended to be served over unsalted white rice for even distribution of saltiness and flavor. This was incredible and so easy! It came out much too salty! I did have to use garlic powder :/, could that be the problem? Any suggestions? Thanks!